As many of the eye catching flowering trees, Rowans are related to the rose family. 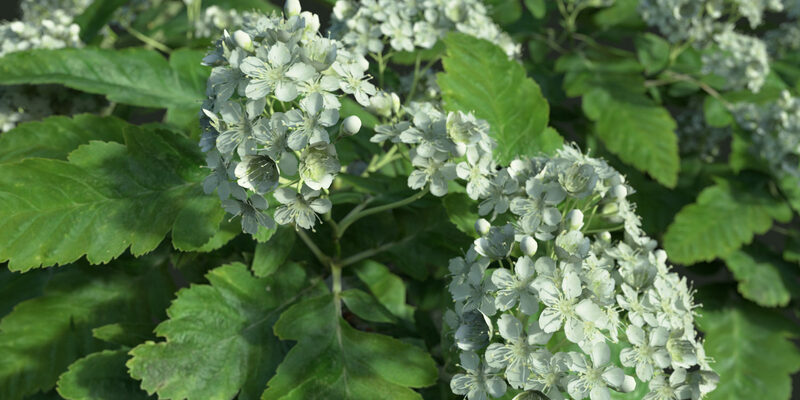 It’s clusters of white flowers later turn into bright orange berries that birds love. Rowans are not related to ash trees, they are called this way because of the resemblance to their leaves. This particular rowan doesn’t even have that characteristic, making its naming even more confusing. A regular mountain ash can grow quite chaotic. The Oak Leaf Mountain Ash however, grows slowly forming a compact, spherical crown. Regular mountain ash trees are best recognised for their big clusters of red berries in summer. 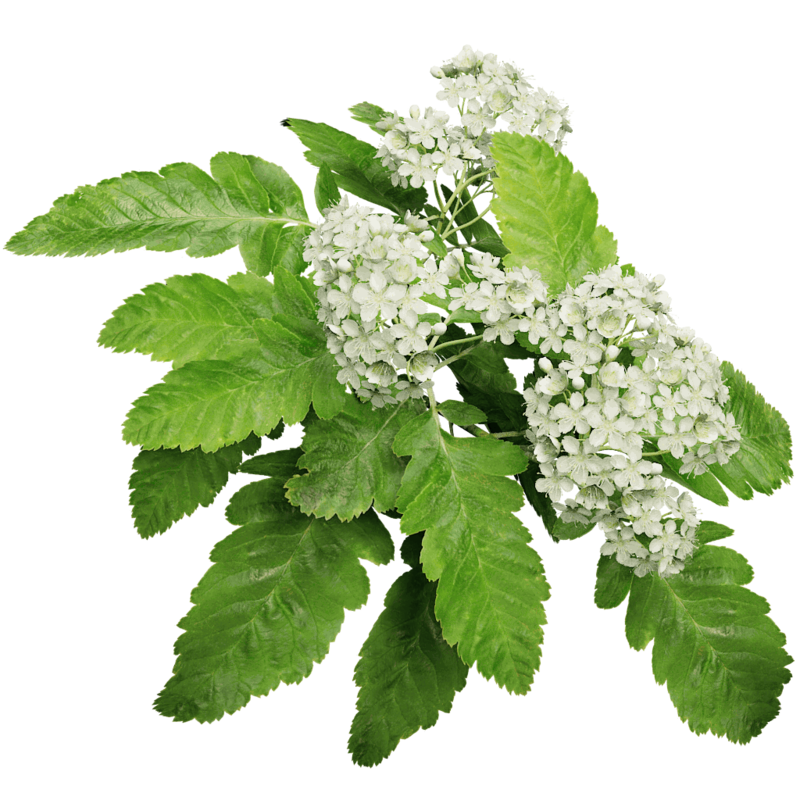 The oak leaf mountain ash shines in spring, with big flower clusters. When they disappear, the tree’s appeal fades with them.